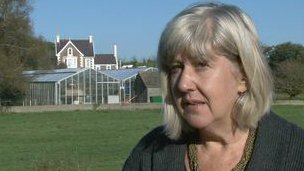 Guernsey children in need of foster care could be forced to move to the UK because of a shortage of carers. Guernsey’s Health and Social Services Department says it is in “desperate need” of carers. Julie Barnes, service manager for corporate parenting, said a 2011 campaign led to an increase in carers but those places were quickly filled. She said it was not uncommon for children to be moved to other areas but it was not ideal. The department is looking for people to take on older children for longer periods and provide placements for young mothers with babies. Foster carer Jacqueline Sheppard said: “There are not many jobs in life that you can make a difference to a little one’s life and you do make a difference. Ms Barnes said her department needed to get more foster carers approved for older age groups – from the age of eight to 14.